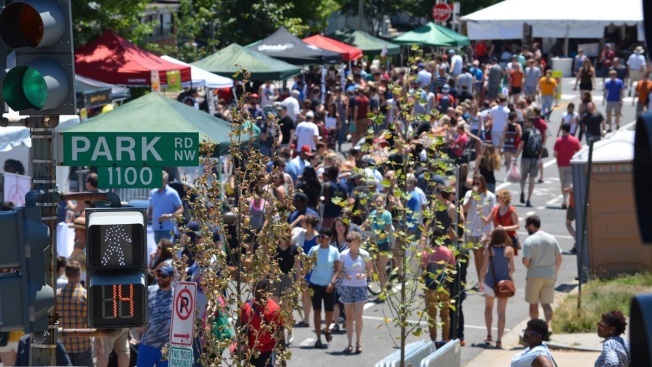 The 12th annual Columbia Heights Day Festival returns Saturday from 11 a.m. to 6 p.m.
You'll find the fest on 11th Street NW between Park Road and Kenyon Street, as well as on the field of Harriet Tubman Elementary School (3101 13th St. NW). Three stages full of live music, dance and free fitness classes will be available for the community to enjoy. The festival will also feature local restaurants and fun for kids. Vendors will include artisans, nonprofit, local businesses and more, said Brianne Dornbush, director of District Bridges, which organizes the event. District Bridges, formally known as the Columbia Heights Initiative, is the event planner for the Columbia Heights Day Festival. It serves the Mount Pleasant and Columbia Heights neighborhoods.